The Dark Side Of Disneyland – See Why People Think The Happiest Place On Earth Is Haunted. Anyone who is somewhat familiar with the park’s history understands that beneath the magical surface is an even more fascinating network of underground tunnels filled with dark secrets and paranormal mysteries. There have been over 10 reported deaths at Disneyland: including a drowning, impaling, and many other freakish accident. What most people don’t know is that there are remnants of dead bodies scattered all over Disneyland. In recent years, it has become incredibly common for families to dispose of their loved ones ashes on Disneyland rides, most popularly the Pirates of the Caribbean and The Haunted Mansion. Apparently it happens so often that security guards actually had to institute a procedure for handling it. Guards closely monitor the rides through surveillance cameras and even walk the length of the track after hours to look for suspicious piles of ash and bone fragments. There was reportedly even a jawbone found by a custodian in The Haunted Mansion. In the book Mouse Tales, former Disneyland employee David Koenig tells the story of a tourist group that requested a little extra time on the ride so they could hold a quick memorial for their deceased son. The ride was shut down when they were spotted pouring his ashes off the Doom Buggy. Is it possible that all these deaths and memories have left a paranormal energy behind? 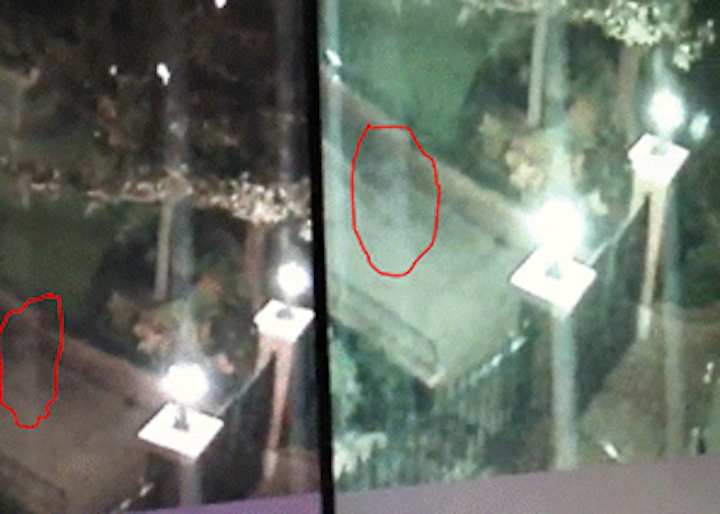 There are hundreds of ghost sightings every year in Disneyland. Mostly the employees working on the attractions report strange occurrences, such as the lights turning on and off by themselves, and the animatronics moving when the electricity is off. At night on the Pirates of the Caribbean, the ride operators can sometimes hear an apparition riding one of the boats on the video monitors, but when they check it out there is nothing there. Then there is Space Mountain. Both the ride itself and the employee locker room is haunted by the ghost of “Mr. One-Way,” who died on the space Mountain ride back in the 1970s. On the ride, he is described as a large man with a reddish hair and a red face, and has been seen by guests getting into a car with a lone rider, but he vanishes before the end of the ride. Have you had any of these experiences at Disneyland? If so, share this post and share your story. Anything is possible!